Come and sing in the world première performance of Ideas of Flight, a brand new commission for this year’s Norfolk & Norwich Festival in partnership with the RSPB. The taster session happens tomorrow night at the Friends’ Meeting House in Upper Goat Lane, Norwich, NR2 1EW at 7.30pm. No previous singing experience is necessary. Also, there’s no need to be able to read music as all the parts are taught by ear. The taster session costs £5.00 (no obligation to join the project) and will be a great opportunity to find out about the project. 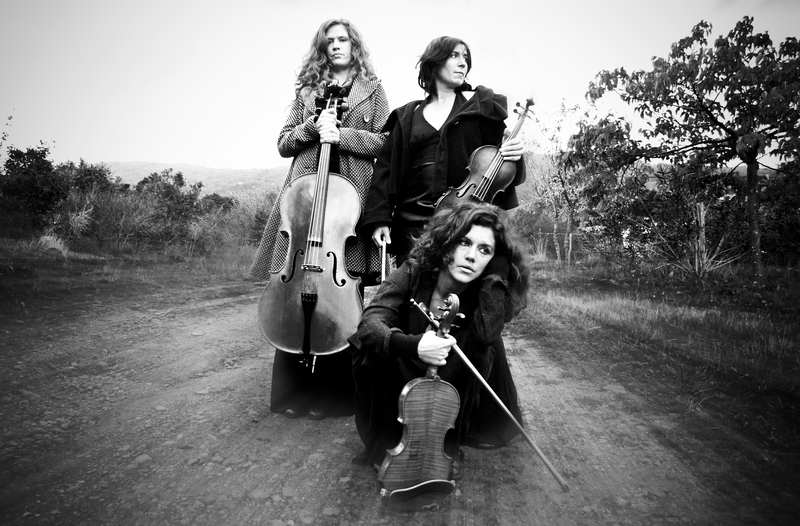 We’re very pleased to announce that we will be working once again, for the new Norfolk & Norwich Festival Project Ideas of Flight, with the wonderful French string trio – Trio Zephyr. We last worked with them on The Proportions of the Temple with Nik Bärtsch. We’re very excited to be collaborating with the Norfolk & Norwich Festival on such an exciting project. This will be an entirely new suite of choral music inspired by a set of poems written about birds in flight by Andrew Motion, Don Paterson, Wendy Cope, Ruth Padel, George Szirtes, John Fuller, Maura Dooley, Jane Draycott and Martin Figura. The composers setting these to music are Barbara Thompson, Orlando Gough, Karen Wimhurst and Jonathan Baker. 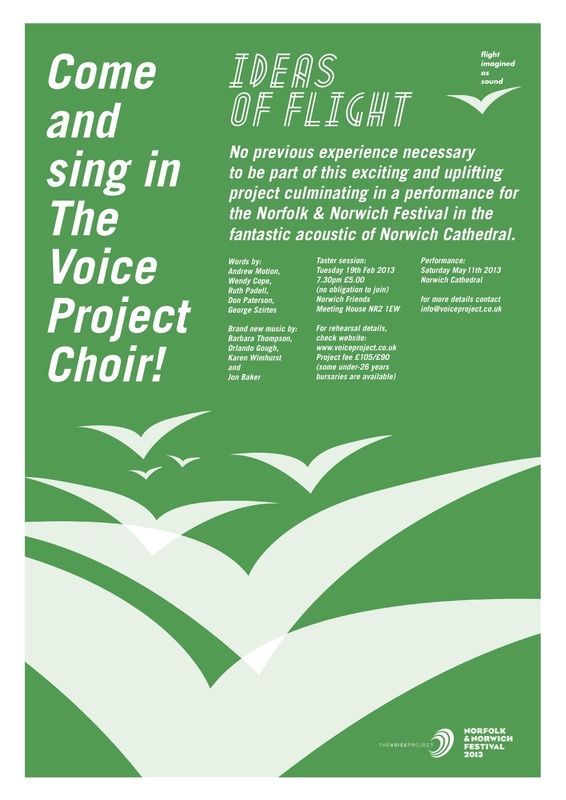 The Voice Project Choir will be directed by Sian Croose and Jonathan Baker and the concert will be in Norwich Cathedral on Saturday May 11th at 8pm. No previous singing experience is needed to take part in this concert. All the pieces are taught by ear over the twelve-week rehearsal period. Come along to the taster session in the Friends Meeting House (NR2 1EW) on Tuesday 19th February to see what it’s all about!